A corporation is in good standing when it has remained current with the necessary reports and fees required by the regulatory jurisdictions under which it operates. 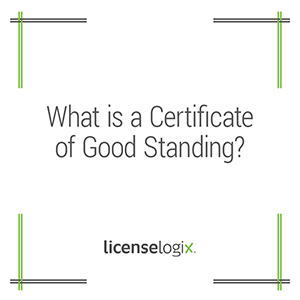 Upon request, states will issue a certificate attesting to an entity's good standing. This document is often required as a supporting document in a business license application.